Of all the captivating diamonds fashioned by the legendary New York diamantaire, William Goldberg, the Ashoka is the stone that became his enduring legacy. With a deep affinity to diamonds and his love of diamond legends, Bill Goldberg was particularly inspired by the tale of the ancient Ashoka diamond: a 41.37 carat Golconda stone, a treasured talisman, named for Ashoka Maurya, the 3rd century Buddhist warrior-emperor. The Ashoka was passed down through the centuries, like so many historic Indian diamonds, and in 1947 fell into the hands of Harry Winston. Later it was bought by the fiery, jewel-adoring Mexican actress, Maria Felix. 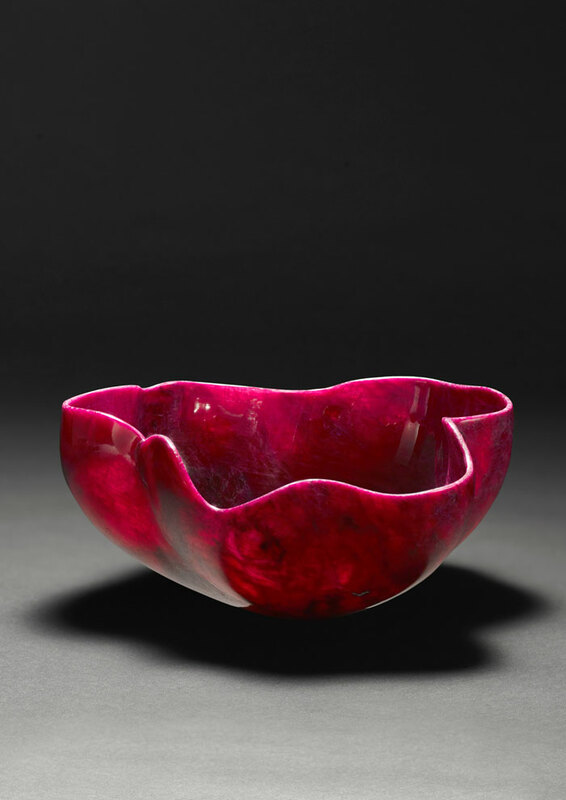 She sold it to the art dealer Roberto Polo, who presented it as a gift to his wife, Rosa. 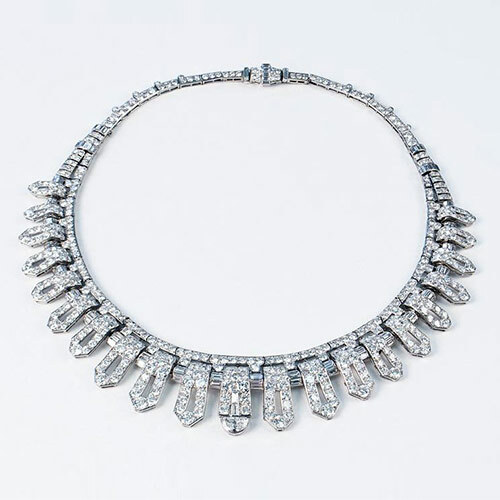 Fast forward, and in 1988, the Ashoka was the highlight of Sotheby’s glamorous jewellery auction, in St Moritz. William Goldberg’s son, Saul and his wife Dale were there, hoping to bring home the treasured stone, but it sold to an anonymous buyer for a record price of $3,850,000. And disappeared from sight. 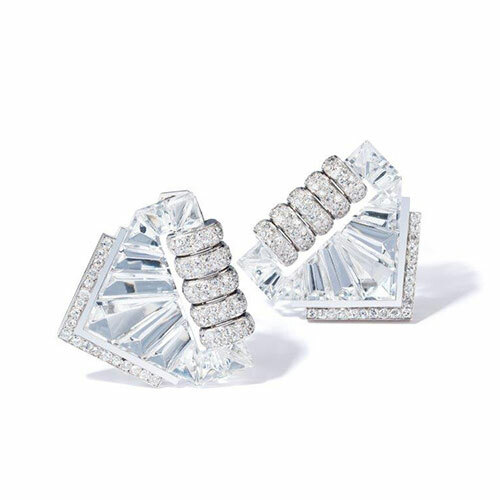 William Goldberg couldn’t forget the beauty and allure of this stone, and he created an entirely new cut, the Ashoka, in homage to the historic Indian diamond of the same name. Staying true to his own maxim, “You shouldn’t cheat a diamond of its right to be beautiful.” Today, the modern Ashoka, a contemporary classic, is weaving its own legend. It has been a busy year for Kazumi Arikawa, Chairman of the Albion Art Company, Tokyo, one of the most important collectors of historic jewellery in the world and an enthusiastic visitor to last year’s inaugural GemGenève. Since his visit, the Albion Art Company has sponsored the blockbuster Jewellery exhibition at New York’s Metropolitan Museum of Art, while L’Ecole, the Paris-based, Van Cleef & Arpels-supported school of Jewelry Arts organised an exhibition, in Tokyo, in late February and early March, of Art Nouveau jewels from Mr Arikawa’s collection. The Art Nouveau Jewellery exhibition, showcasing masterpieces by Lalique, Fouquet, Vever and Boucheron, curated by jewellery historian and GemGenève team-member, Vivienne Becker, was one of a series called Through The Eyes of a Connoisseur, opening up private collections around the world. Meanwhile, the huge success of the jewellery show at the Metropolitan Museum, Jewelry – The Body Transformed, which closed last month, is good news for us all, opening up the whole subject of Jewellery to new audiences, bringing more depth, showing the full richness and complexity of the art of the jewel. Just as we do at GemGenève. Ming Lampson is one of the new names in this year’s Designer Vivarium, presenting the work of individual, independent designer-jewellers from around the world. Based in London, Ming was born in Hong Kong – hence her name – and drawn to gemstones from an early age, as so many of the designers were, she went on to study gemmology and learn about stones in Jaipur. She set up her own business, in 1998, as a bespoke jeweller, only working on commission, but in the last few years she has created two collections, both inspired by the East, by Asia and her roots. The first collection, Oriental Garden, was conjured from Ming’s personal fantasy of an Asian garden, stylized, manicured, filled with fragrant, exotic plants and alive with winged creatures. The designs, as always with Ming’s work were highly stylized, abstracted, evoking emotions rather than depicting realistic images, a pool of lapis in which floats a single green tourmaline, representing a lotus leaf, a caterpillar translated into a ripple of emeralds encased in rose gold, an opal dragonfly ring with openwork wings wrapping the finger. Her second collection, Reverence for Nature, revolves around the Japanese preoccupation with the seasons. Ming explains, “I wanted to capture something fleeting in materials that last forever”. Again the designs are stylized, and gemstones are the focal point of each jewel; blossoms, for spring, a rendition of the traditional ‘Mons’ style flowers, in lace-like diamonds on ring; wintry aquamarine ice flowers, cold, sleek and sharp shards of ice; ripe, succulent berries for autumn, vibrant turquoise flowers for summer. She says she has explored the stones, their colours and associations, and pushed herself to technical challenges, in the construction of the jewels, bringing fluidity, and a strong sculptural quality, particularly for her earrings in which she experiments with line and form, “dressing the ear”, blending the classicism of the subject with a very modern edge. Each jewel is one of a kind, and all are hand-made in Ming’s atelier in London. 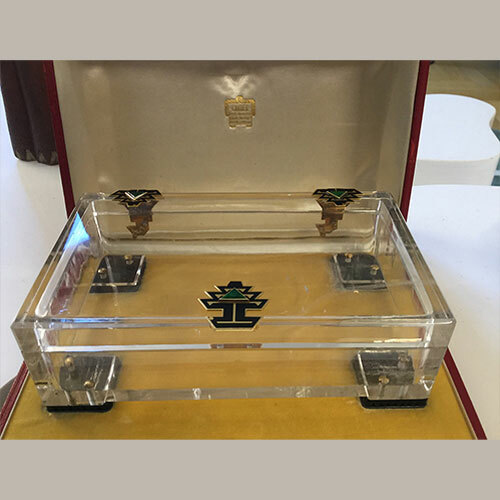 Three decades after Donna and Alex Vock, of ProVockative Gems, New York, launched their business in 1990, they have become leading international dealers, with a magnificent inventory of signed ‘legacy’ jewellery, mostly 20th century, natural ‘pedigree’ gemstones and natural pearls. Alex’s expertise and reputation are such that he often advises governments and museums around the world. While Donna also operates a consultancy business, Donna Vock Design. Donna tells how she was a geology graduate working in the retail jewellery business, just to earn some money, she says, when she met Alex, who had learnt about pearls from his uncle, Salvador Assael, and about diamonds at Lazare Kaplan and who was working for the same retailer, to gain experience. 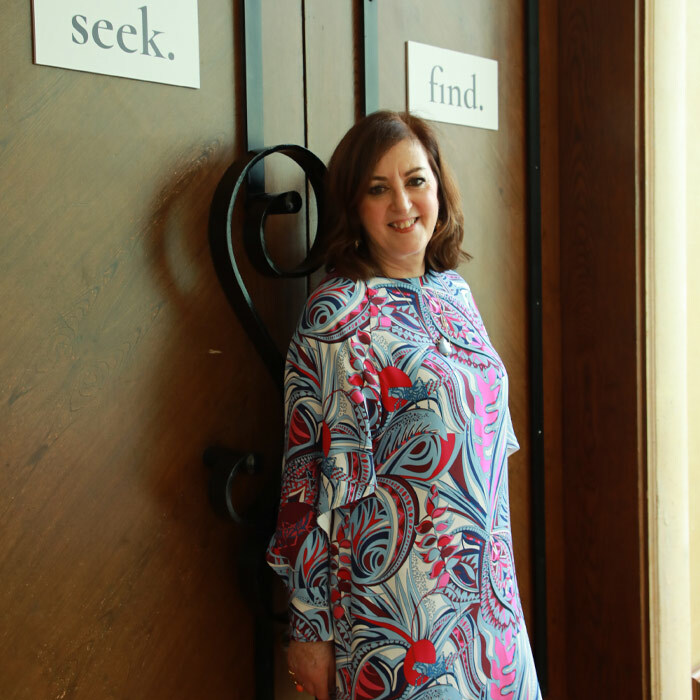 Some 85% of ProVockative Gems’ business is wholesale, selling to the trade, to retail stores, while in her design consultancy, Donna Vock Design, she also deals with private clients. 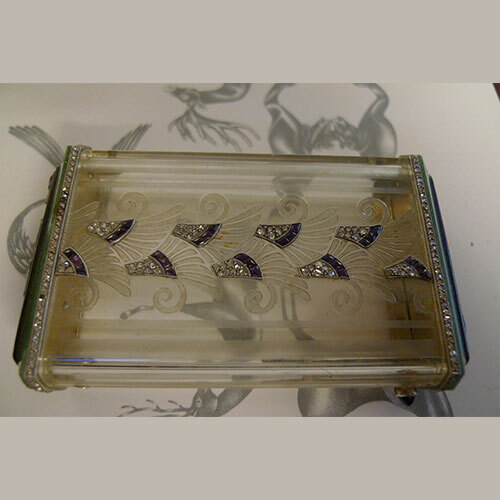 Through the ProVockative Gems customers, retail jewellery stores who often branch into selling vintage jewellery, she notices how young people are increasingly interested in vintage jewellery, “they are eager to understand the stories behind the jewellery.” The same is true for natural pearls, she feels. “There is a new level of awareness of natural pearls versus cultured pearls,” and appreciation of their extreme rarity, and beauty, especially at this time when global warming is having an adverse effect on the oceans and on the lustre of pearls. Donna Vock talks authoritatively on gems and jewels, the art and science as she gives us a guided tour through the panoply of jewels on offer, so extensive, and diverse in age and style, but all connected by a focus on superb quality, fine materials, a certain distinguished style and presence. 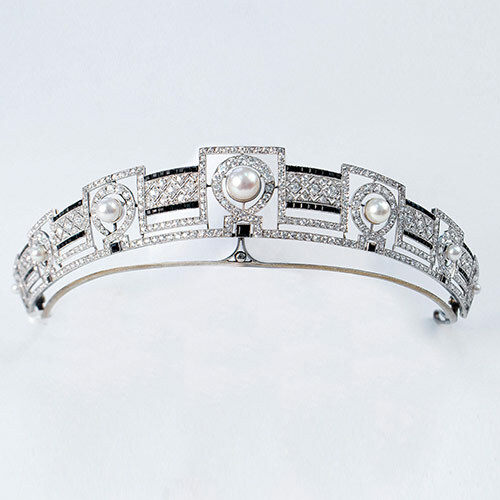 There are trays of Art Deco diamond bracelets, several by Cartier, a pair of natural pearl earrings by Boivin, 1935, 1950s jewels by Schlumberger for Tiffany, and an eclectic choice of more contemporary creations, from the 70s to the present day, including for instance a 2009 mother-of-pearl necklace by Bulgari. As well as modern jewels designed by Donna herself; she shows her signature natural pearl and pink and white diamond tassel earrings, the tassels detachable, converting to stud earrings. Her enthusiasm and passion are infectious. She says: “It’s a long road, but people who love jewellery and gems have a real passion. They stick with it”. Pristine Diamonds, of Antwerp, a new GemGenève exhibitor in 2019, has fashioned a diamond of sublime perfection, from an exceptional rough crystal of 41.67 carats, originating in the Kao mine, in Lesotho, an area renowned for the size, clarity and beauty of its diamonds. Pristine, a leading rough diamond manufacturer, was established in 1998 with a family history of diamond trading reaching back some 60 years, and today they work closely with the most important sources, and ‘tender’ houses around the globe. Pristine operates from a state-of-the-art facility and cutting factory in Antwerp, and is known for its expertise and skill in cutting large colourless and fancy coloured diamonds. So far, through Pristine’s expertise and the use of the latest high technology, the Helium machine, the rough crystal has yielded three superlative, top graded Flawless diamonds: an emerald cut, 10.21 carats, D Flawless; a 3.01 brilliant cut, D Internally Flawless; and a 1.11 pear-shaped stone, D Flawless. A fourth diamond from the same crystal is on its way. Expect these rarities to light up the Pristine display at GemGenève. Gemgenève is honoured to count legendary New York dealer Paul Fisher as one of its elite exhibitors. At 93, Mr Fisher is the head of the fifth generation business, dealing in antique and estate jewellery, fine gemstones and particularly in natural pearls, a speciality that reaches back to the origins of the company in the 1850s in Vienna. The founder, Julius Fisher, traded in natural pearls, from the Arabian Gulf, and as Paul Fisher explains today, these pearls were much in demand, not only as jewellery, but also widely used as buttons, for the most fashionable gowns. 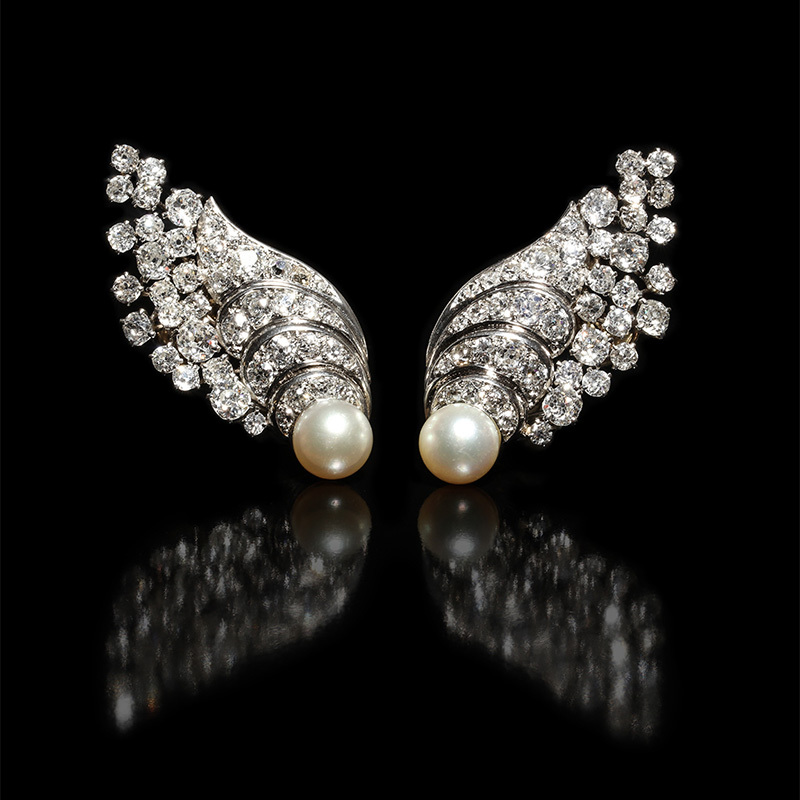 In 1921 Julius Fisher’s grandsons Ferdinand and Robert opened Bruder Fisher, in Vienna, but when the introduction of Mikimoto’s cultured pearls around 1927, revolutionised the market, adversely affecting the price of natural pearls, they adapted by buying and selling fine jewellery instead. In 1938, on the eve of War, Robert brought the family business to London, establishing a New York branch in 1941. Paul Fisher, Inc, New York was started by Robert’s son, Paul, in 1956, adding a London office in 1980, and later offices in Paris and Hong Kong. Beverly Hills jeweller, Robert Procop, known for his expertise and passion for the most fabulous natural coloured gemstones on earth, as well as for his VIP clientele, generally prefers to stay out of the limelight. However, this May he is exhibiting at GemGenève, and will be on hand to show clients his Exceptional Jewels collection, the first time he has personally participated at an international show in this way. Along with his own creations, he will be unveiling the latest additions to the Style of Jolie, the collection he designs in collaboration with Angelina Jolie. The Style of Jolie was launched in 2012 to benefit the charity co-founded by Ms Jolie, The Education Partnership for Children of Conflict. The purpose of the charity is to build schools and provide education for children in areas of devastating conflicts and high refugee concentrations. Both Procop and Ms Jolie pledged to donate 100% of the profits to the charity. 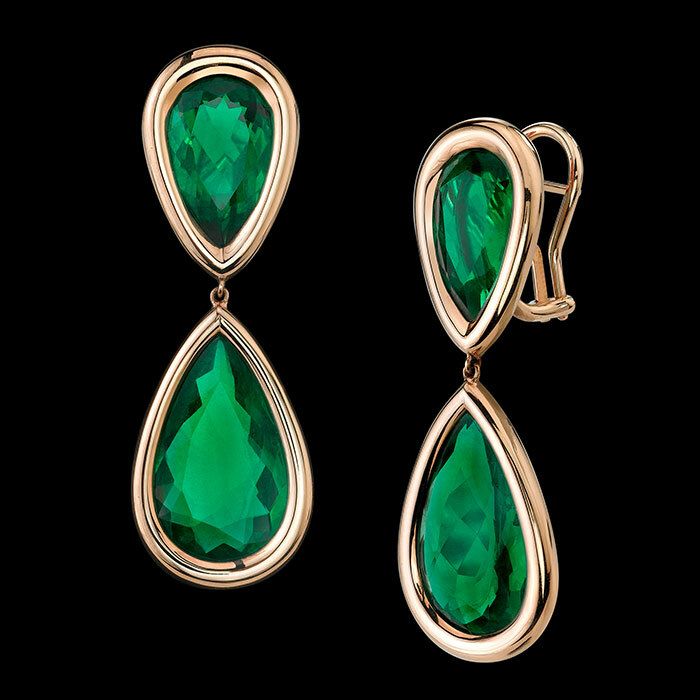 Style of Jolie jewels have a distinctive, “colour block” style, the sleek, architectural gold settings, especially the signature “tablet” form, perfectly balance the purity and strength of emeralds, citrines and green beryls. The refined gold mounts, which Procop describes as “floating edges” are supremely crafted to look as if the gold melts into the gemstones themselves, strong yet fluid and sensual, powerfully contemporary yet effortlessly elegant. The newest Style of Jolie designs, with emeralds, citrines, as well as the more unusual, chic, black star sapphire and black spinels, will be revealed to the public at GemGenève, in a special display in the Contemporary Designer Showcase, curated by Vivienne Becker for Vivarium. And alongside these new creations, Robert Procop will also unveil the first jewels in the capsule series, the Zahara Collection, designed by Procop, in collaboration with Angelina Jolie and Ms Jolie’s daughter, Zahara Jolie-Pitt. These young, vibrant designs, chain anklets with gem-pendant, statement rings and slender, beautifully proportioned bracelets, set with a variety of stones, including black spinel and rose quartz, in white and rose gold. A world exclusive for GemGenève. 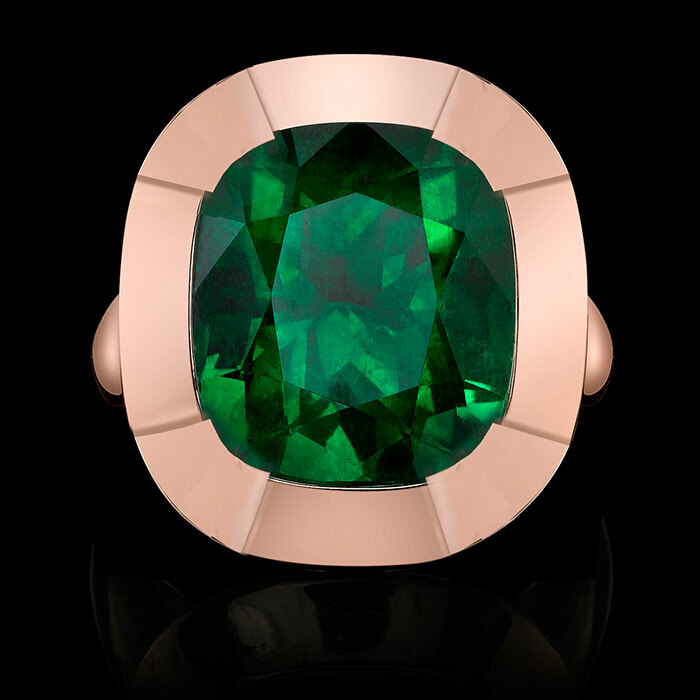 • Emerald and gold ring, Style of Jolie collection, Robert Procop, Los Angeles. The minimalist “tablet” design of this ring is the defining feature of the Style of Jolie collection, created by Beverly Hills jeweller Robert Procop in collaboration with Angelina Jolie, to benefit the charity co-founded by Ms Jolie, the Education Partnership for Children of Conflict. • Rose quartz and rose gold anklet, Zahara collection, Style of Jolie. 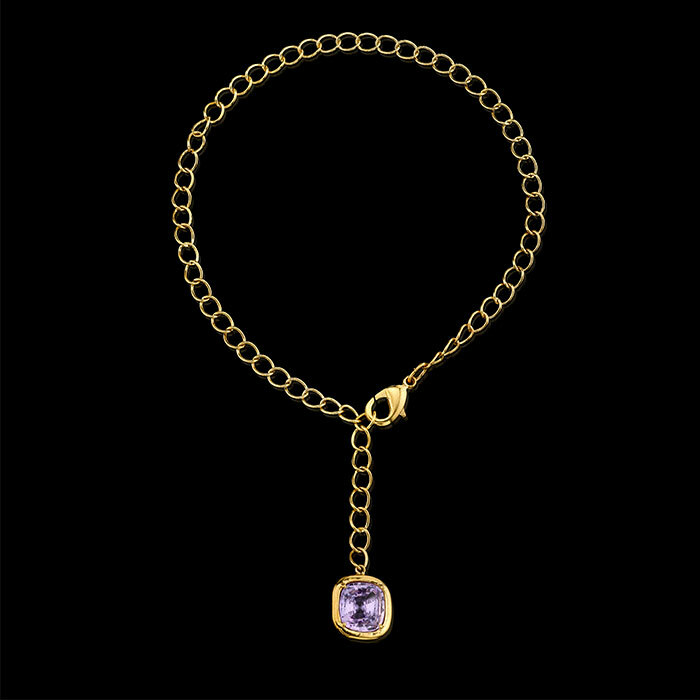 One of the first jewels in capsule series designed by Robert Procop in collaboration with Angelina Jolie and Ms Jolie’s daughter, Zahara Jolie-Pitt. The Zahara series will be unveiled and shown to the public for the first time in the Designer Showcase at GemGenève. As part of the April press days in New York City held first in the salon of renowned diamantaire, William Goldberg, and then in the offices of the Faerber Collection, the GemGenève team announced the Contemporary Designer Showcase. This showcase, highlighting the work of 9 international designer-jewellers, is curated by Vivienne Becker, as an introduction to her new venture, Vivarium by Vivienne Becker, offering a whole world of jewels, history, advisory and a gallery of individual designer jewels. 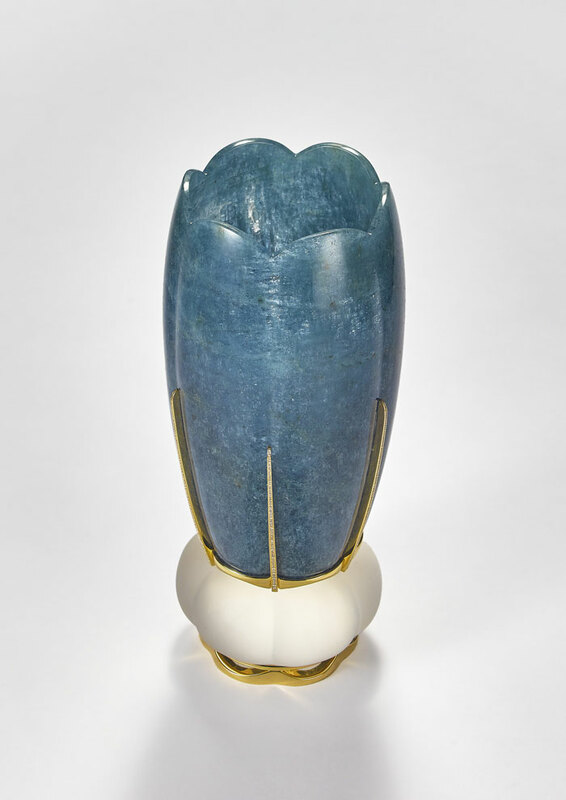 Gem Genève’s New York press events previewed some of the designer jewels that would be on display in May, showing work by Hannah Martin, London, Belmacz, London and Sean Gilson, New York. The founders, Thomas Faerber and Ronny Totah, were there to explain why this showcase of individual designer jewellers from around the world, is such a vital, vibrant part of the GemGenève concept, and Vivienne Becker was on hand to talk about her choice of designers, their individual creative visions and the jewels themselves. From Hannah Martin, the journalists saw the Possession ring and bangle, typical of Martin’s signature style of powerful, provocative androgyny. She works predominantly in gold, shown to perfection by dramatic, mechanistic and sculptural form of the new Possession ring and bangle, in which she explores the conflict between ownership – possession – and freedom. The power of the design, and of her generous use of gold, contrasts with the sense of vulnerability that comes from the glimpse of flesh through the open centre of both ring and bangle. The Alice B. Toklas ring, gold set with coral, by Julia Muggenburg for Belmacz, showcased the designer’s background in fine art and her very particular, idiosyncratic way of fusing influences from modern art and tribal ornament, integrating colour, texture and material into concept, design and form. Belmacz creates jewels with a strong, contemporary urban beat and a sculptural sensuality. The chain necklace with a chalcedony pendant perfectly carved in the form of a miniature Chinese snuff bottle, with a single diamond on the chain, told of Muggenburg’s understanding of the spiritual, amuletic significance of the jewel in all civilisations. American master goldsmith, Sean Gilson, showed his exuberant black opal and natural pearl ring, which points the way forward into a new visual design language for pearls. Back on trend in a big way this year, pearls are now rebelling against their age-old traditions, breaking through entrenched classicism, finding new creative expression at the hands of individual designer-jewellers like Gilson, for whom pearls have become a speciality. He also showed his signature long gold earrings, resolutely modernist and geometric. Gilson makes all of his jewels himself by hand in his atelier in Connecticut and his workshop in New York City. After Hong Kong and the East, we turned our sights westward; next stop – New York. In early April, the GemGenève founders Ronny Totah & Thomas Faerber and team, including Jasmine Vidal & Vivienne Becker, headed to New York City, to introduce GemGenève, its story, scope and stellar cast of exhibitors to press, journalists, jewellery editors, fashion editors, and influencers. The event was spread over two days. The first day was hosted by GemGenève exhibitor, William Goldberg, who welcomed the stream of press into their offices for one-to-one appointments with the founders and with Vivienne Becker, who talked both about the antique jewellery at the show and about the Contemporary Designer Showcase, organised through her new venture, Vivarium. The second day was held in the offices of the Faerber Collection, run by Max Faerber, and here New York antique jewellery dealer and exhibitor Pat Saling came to talk to journalists about 20th century jewellery. On both days the team announced the unveiling at GemGenève of the latest additions to the Style of Jolie collection, a philanthropic collaborative venture launched in 2012 by Angelina Jolie and Beverly Hills jeweller, Robert Procop. Amongst the new Style of Jolie designs will be the capsule Zahara collection, young, street-style and vibrant, designed by Ms Jolie, Robert Procop and Ms Jolie’s daughter, Zahara Jolie-Pitt, shown publicly for the first time, in a world exclusive, at GemGenève. One of the star jewels shown to journalists at the press lunch in Hong Kong in March was a spectacular cuff bangle by the French designer, Suzanne Belperron, whose name has become a buzz word in the world of “vintage” jewellery. The bangle, made around 1936, in platinum, diamonds and calibre-cut sapphires, centred on a large single stone diamond, was lent by GemGenève exhibitor Pat Saling, a New York-based dealer in antique and 20th century jewellery. 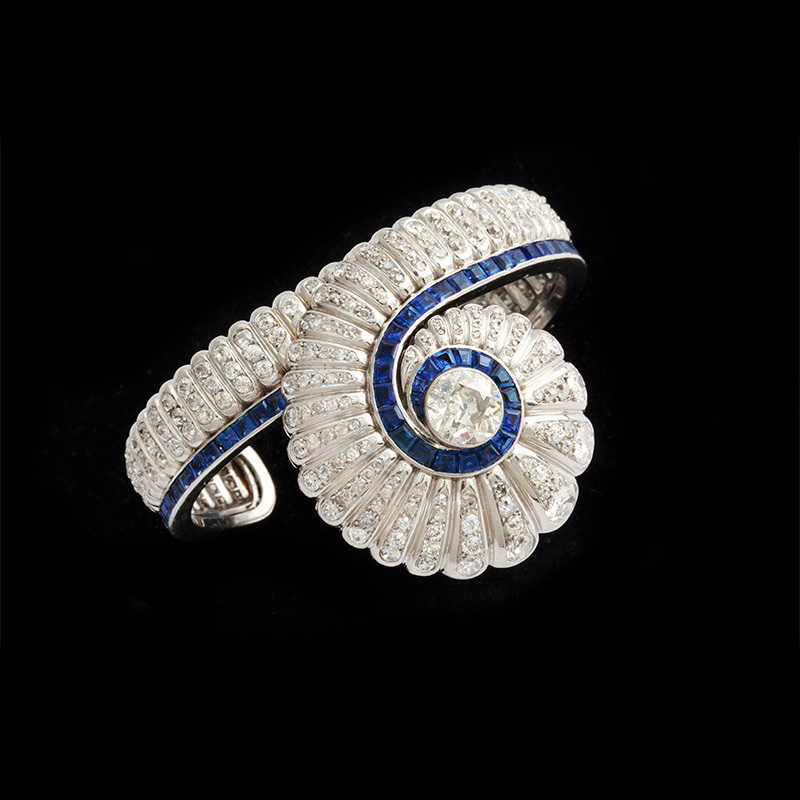 The bangle is a superb example of Belperron’s inimitable style – she used to say “My style is my signature”. Designed as a loop or twisting spiral, a Belperron signature, it shows the designer’s effortless blend of powerful graphic lines and curvaceous sensuality that so captured the bold, strong femininity of the 1930s and 40s. It shows the new volumes that Belperron introduced to Art Deco design, and exudes an understated glamour that strikes a chord today. Perhaps most of all it is an exceptional showpiece of Belperron’s sense of timeless, enduring modernity: the bangle looks as dynamically contemporary and relevant today as it surely did when it was first created. 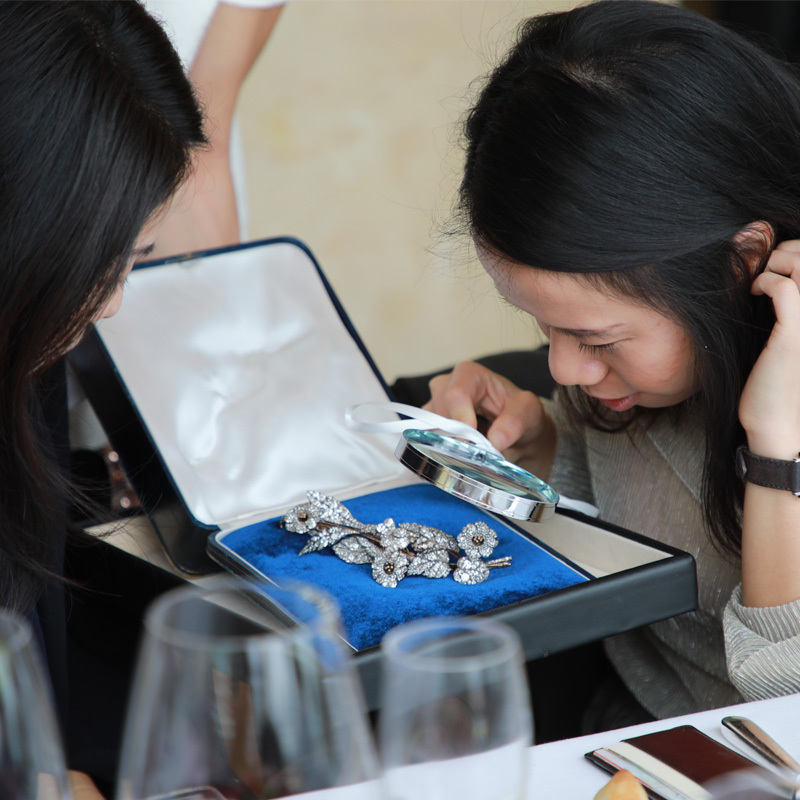 In early March, the GemGenève team travelled to Hong Kong to host a lunch for international journalists, bloggers and influencers, to give them the full background to GemGenève and introduce its founders, Thomas Faerber and Ronny Totah. The hosts were also delighted to welcome the Consul General of Switzerland, Reto Renggli to the lunch. Some 20 members of the media, from Hong Kong, mainland China, Taiwan, the USA and even Australia, gathered around a long table in a private dining room in the Grissini restaurant in the Grand Hyatt Hotel. 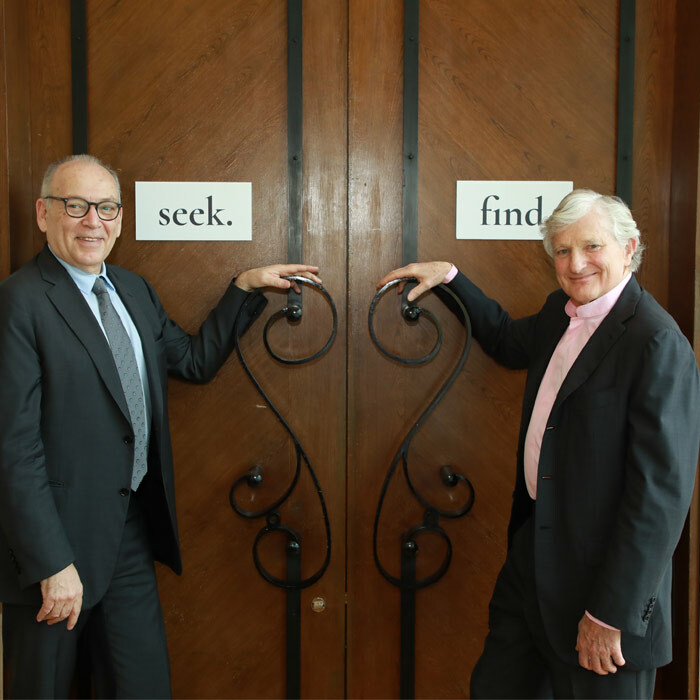 The theme of the lunch was “Seek and Find”, an invitation to explore and discover at GemGenève. The table was decorated with beautiful flower arrangements in white boxes, printed in black with “Seek” and “Find”. In the same spirit of quest and discovery, the guests were each given a magnifying glass. 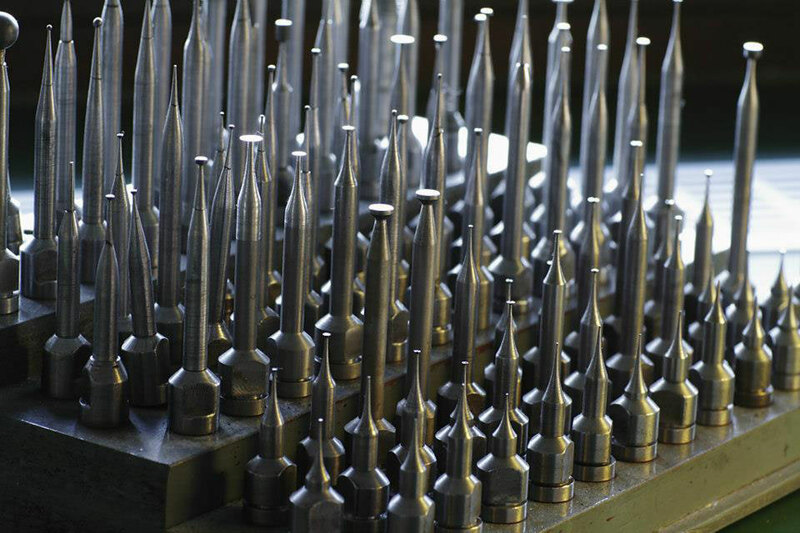 Thomas Faerber and Ronny Totah related the story of GemGenève, why and how they developed the concept. They explained how they both felt there was a need for a new-style jewellery and gem show in Europe, a show that was more intimate, focused on quality and integrity, an event, for both trade and public that would truly reflect and reveal the international world of gem and jewellery trading. Also at the lunch, Jasmine Vidal, responsible for communications at GemGenève introduced jewellery historian, journalist and author, Vivienne Becker. Vivienne gave a short talk in which she showed how GemGenève will be a microcosm of today’s fast-changing jewellery world. She offered insights into social and cultural megatrends, and analysed the latest design directions, touching on the significance of discoveries of new gem deposits, mainly in Africa, that have given designers an unprecedented palette of gem colours. To illustrate this, Nomad, New York-based gem merchants and GemGenève exhibitor, lent a spectacular set of three mint green Merelani tsavorite garnets to show the press. Vivienne also gave the journalists went through styles and periods of antique and 20th century that would be on offer at GemGenève. The guests were fascinated by the jewels that were lent by exhibitors to illustrate the different eras and styles. The jewels were passed round the table giving the guests the opportunity to handle the jewels and listen to detailed explanations by Ida Faerber, who shared her impressive knowledge of jewellery history. 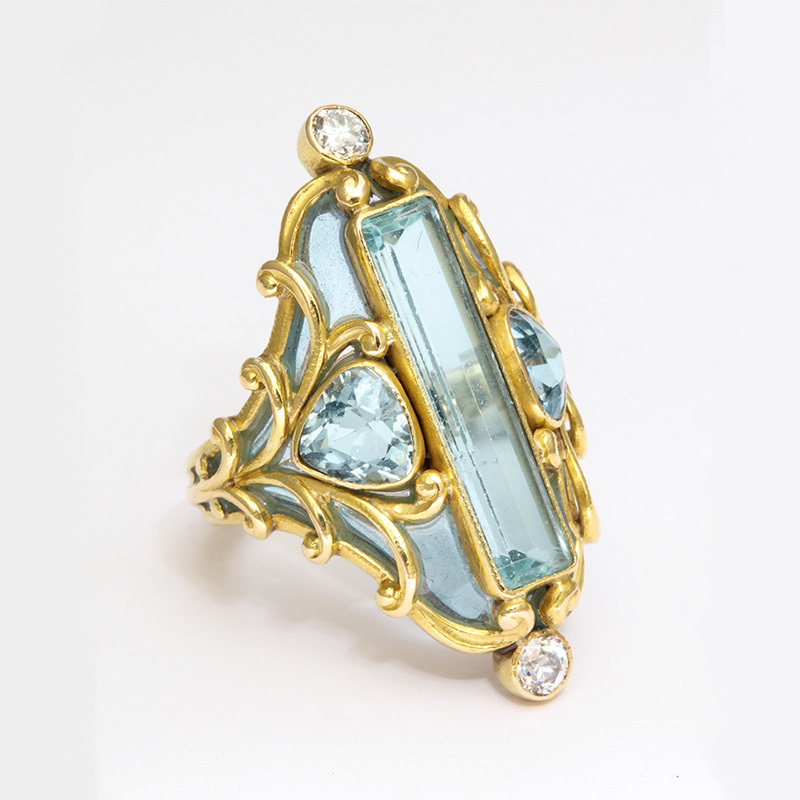 The pieces on display included 18th and 19th century diamond jewels, an Art Nouveau ring by American maker, Marcus & Co and jewels by Suzanne Belperron, lent by GemGenève exhibitor Pat Saling, as well as Kashmir sapphires and a coloured diamond ring. Finally there were two contemporary designer jewels by Belmacz London, which linked to the announcement at the lunch of the Designer Showcase at GemGenève – more to come in our next news!